Most, quite naturally, associate the annual Great American Beer Festival (GABF) with the competition, and the awarding of gold, silver and bronze medals coveted by craft brewers throughout the country. It's also a time, though, for the industry to come together and take stock of where it stands in terms of growth and to recognize and identify factors that may be changing which will affect the market in years to come. Take the demographics of craft beer lovers, for instance. In 2001, the median craft beer lover was a highly-educated white male, aged 39 with a relatively high income. For sheer lack of available choices, he was geographically concentrated, likely living in states typically associated with having a high density of craft breweries like California, Oregon and Colorado. Now, over twelve years later, diversity measures tell us young women between the ages of 21 and 34 make up 15% of the total craft beer volume. High socioeconomic status still prevails, but the bottom 60% of households (by income) now consume 40% of craft beer being produced. Left: United States brewery population density (Brewers Association). that will expand coverage (Google Maps, www.freemaptools.com). It's also interesting to note that breweries aren't just concentrated in Dallas and Fort Worth. Instead, they are spreading out across the area. It's somewhat reminiscent of Colorado, where virtually every small town you visit is home to a brewery. While we still have large municipalities in the Metroplex that are without a brewery, small towns in Colorado like Louisville (population 19,588) and Lafayette (population 26,784) have two each. It's been said before, but it's worth saying again...there is still much work to be done locally. Left: High gravity beers are on tap at Gravity Brewing in Louisville, Colorado. Right: Craft beer meets comfort food at Post Brewing in Lafayette, Colorado. Of course, more people drinking craft beer means there must be more people brewing it. However, it's not something happening strictly on the professional level. Statistics from the American Homebrewers Association, which has a membership of 43,000 people, say there are 1.2 million homebrewers in the United States. And, for the most part, these are the people opening new craft breweries. Evidence of such was in full view this weekend during the GABF awards ceremony, when a houseful of hands raised in response to the question of how many got their start in homebrewing. 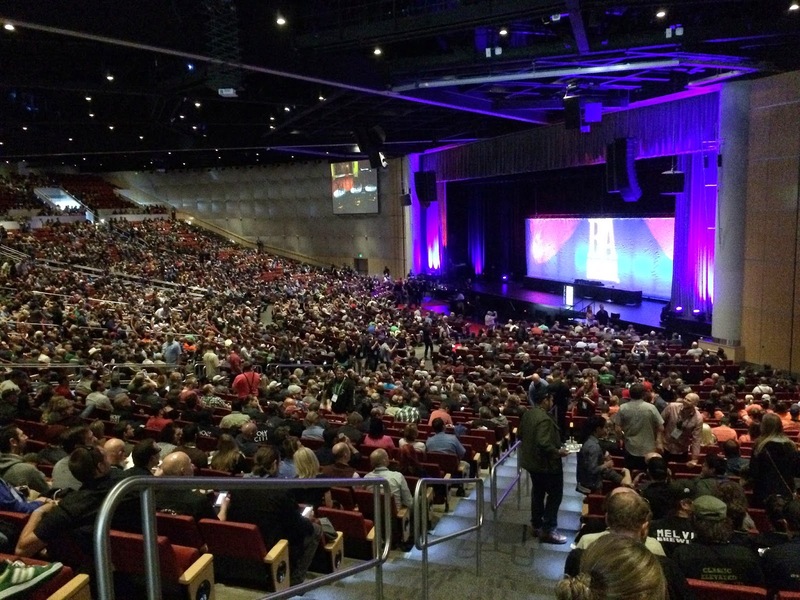 A packed house at the 2015 GABF awards ceremony. As for the professionals, there are now more than 3100 active brewing operations in the U. S., numbers which haven't been seen since before Prohibition. Of those, 1309 submitted 5507 entries into this year's competition. A total of 222 judges from 10 countries evaluated these brews, awarding medals in 90 categories (not including the Pro-Am competition). Among new brewers, 52 first-time entering breweries won medals, while 16 Texas breweries (both new and established) also counted themselves among the winners. India Pale Ale was once again the most-entered category (279 entries), followed by Herb and Spice Beer (150 entries), American-Style Pale Ale (145 entries) and American-Style Amber/Red Ale (140 entries). The growth of the competition has been so much over the past few years that the Brewers Association announced plans to add 90,000 square feet of exhibitor space for GABF 2015. This is on top of the 300,000 square feet already being utilized at the Colorado Convention Center. The move will allow more breweries to serve beer in the festival hall (only 710 participated this year) and presumably more tickets to be sold to hopeful attendees. Regarding North Texas, after this weekend there will be 30 active brewing operations in the area (19 physical production breweries, 10 brewpubs counting multiple locations, 1 licensed brand). 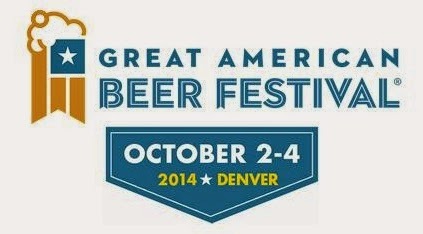 This year, members of this group brought home 4 gold and 2 bronze medals from GABF. A three-year running count has North Texas brewers winning 7 gold, 1 silver and 2 bronze medals. Repeat winners include the Peticolas Brewing Company (gold in 2012 and 2014), Community Beer Company (gold in 2013, gold and bronze in 2014, including back-to-back wins for Public Ale) and Rahr & Sons (silver in 2012, bronze in 2014). There has truly never been a better time to drink craft beer locally, and while growth numbers are one thing, results like those above tell me it's high time to start taking North Texas beer seriously. Gold medal in the Imperial Stout category for Quakertown Stout. Gold medal in the Extra Special Bitter category for Public Ale. Bronze in the Coffee Beer category for Ascension Coffee Porter. Gold medal in the English-Style Brown Ale for Sir William's English Brown Ale. Gold medal in the Aged Beer category for 2012 Great Scot! Bronze medal in the German-Style Doppelbock or Eisbock category for The Regulator.